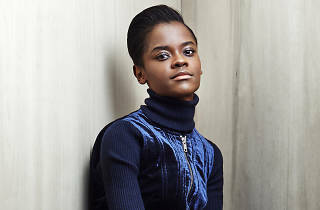 ‘If I’m wrong, I owe you some chips.’ Letitia Wright is so convinced that her friend and ‘Black Panther’ co-star Daniel Kaluuya will win a Bafta, she’s offering me a carb-based wager. But he’s not the only one looking forward to a big year. While Wright’s arrival at the BFI Southbank café doesn’t cause a stir when we meet, that’s all going to change after the Marvel comic-book movie comes out next week. 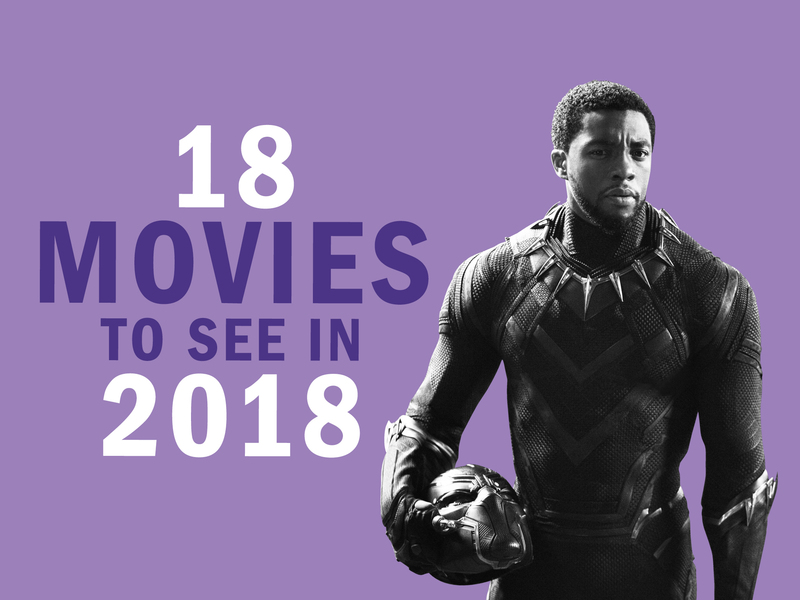 ‘Black Panther’ is arguably the most anticipated blockbuster to hit cinema screens since the last ‘Star Wars’ film. Based on the 1960s comic books of the same name, it sold more advance tickets within 24 hours of going on sale than any other Marvel flick and it boasts a cast of stellar acting talent, the majority of it black, including Angela Bassett, Forest Whitaker, Lupita Nyong’o, plus Kaluuya and Wright, who plays hero Black Panther’s techy little sister, Princess Shuri, in the film. Wright has a knack for getting cast in cult hits. The 24-year-old, who was born in Guyana and grew up in Tottenham, has racked up roles in much-loved TV shows (‘Top Boy’, ‘Humans’ and, most recently, the exceptionally dark season four finale of ‘Black Mirror’), but now she’s finally making her mark in big-budget, big screen territory. As well as appearing in ‘Black Panther’, she’s in just-released Liam Neeson thriller ‘The Commuter’, imminent Spielberg-directed sci-fi movie ‘Ready Player One’ (March) and the next ‘Avengers’ movie (May). If you didn’t know Letitia Wright’s name before, you certainly will by this summer. I’d bet my chips on it. ‘Black Panther’ is a groundbreaking blockbuster. How does it feel to be a part of that? What drew you the role of Princess Shuri? Angela Bassett plays your mum in the film. What was it like working with her? You grew up in Tottenham. Where did you hang out when you were younger? Your big break was in East End drama ‘Top Boy’. It’s getting a revival thanks to Drake. Would you ever go back to it? Were you a fan of ‘Black Mirror’ before you were on the show? Are you nervous about being famous? Hollywood is in a state of flux right now. What’s it like to be a young actor coming through? Does the movement make you feel empowered? You’ve worked with director Michael Caton-Jones, who discovered Leonardo DiCaprio. Is it true he compared you to Leo? ‘Black Panther’ opens on Mon Feb 12.